May is Mental Health Awareness Month, and Pulse is taking a look at the issues by speaking with experts. It’s no secret stomachs voice when they are hungry. But the gut is always in constant communication with the brain, satiated or starved. Controlled by the enteric nervous system comprising about 100 million nerves that start in the brain and end in the gut, the latter can easily feel what is happening in the head and vice versa. Doctors connect mental health with one common intestinal disorder in particular: irritable bowel syndrome (IBS). “These patients have exhaustive workups…diarrhea, bloating, constipation or abdominal pain often triggered by stress and emotional problems like anxiety and depression,” said Dr. David Magier, MD, gastroenterologist at NYU Langone at Great Neck Medical. 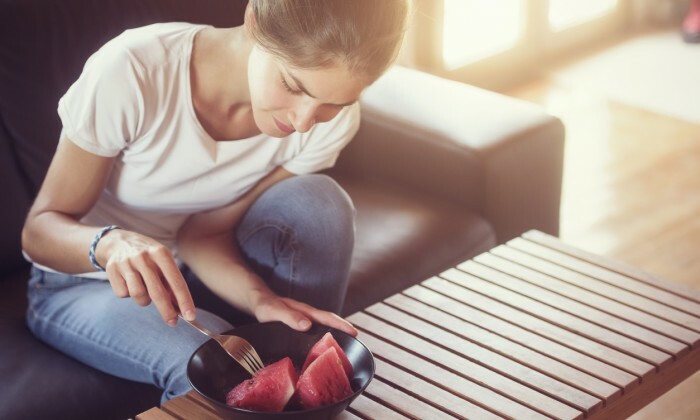 Affecting between 25 and 45 million people in the United States, IBS also has a large impact on medical expenses and work absenteeism, costing society $21 billion or more annually. Magier, who sees four to five patients a day with IBS, shared more about the conundrums of the disease and how improving gut health can have a positive impact on mental health. There is a lot of controversy about what causes irritable bowel syndrome. One of the so-called causes is a disturbance in the flora of the gut. Very often patients have taken antibiotics and subsequently they develop all kinds of bowel problems like constipation and diarrhea. Gut flora can also become impaired by malnutrition, people taking things to cleanse their bowel too much and steroids. Stress and anxiety are other big triggers. The big hallmark of IBS is that it is a chronic, recurrent kind of condition that has to last several months, several days a week. What are some of the most common symptoms you hear from people suffering with IBS? That they have gas, bloating, nausea, vomiting, cramps, headaches and every time they eat something they have to run to the bathroom. As soon as they get up in the morning they start having pain because once they start thinking about work and what they have to do that day they get pain. It is a manifestation of their stress and anxiety that comes out in the bowel. Another classic symptom is that when patients are asleep, they generally don’t wake up from abdominal pain. They may have trouble falling asleep, but they don’t suddenly wake up with severe pain or having to go to the bathroom, which is the case of most other gastrointestinal illnesses like ulcerative colitis and Crohn’s. The brain and bowel are connected so when the brain is asleep the bowel is as well. When a patient awakes, very often the pain starts again because now the brain is awake. Usually, how severe are patients’ underlying mental condition? They can be mild or severe. Some people with mental issues get angry or depressed, some take it out on others, some lose weight, some gain weight, some get irritable bowel. It is just another manifestation of an underlying mental problem or status. If a person improves their gut health it can help their mental condition. If your bowels are feeling better, you are going to feel better. You are going to have more energy, be more alert, want to interact with people. You are going to be happier than if you are suffering from pain. Those who suffer are going to be more depressed, less likely going to want to do things, be with people, interact. I wouldn’t say that IBS can cause a mental condition, but it can surely make people more anxious and depressed. How can people improve their gut health? Never take antibiotics unless you absolutely need them. A low FODMAP [short-chain carbohydrates like garlic and asparagus that can ferment in the bowel and cause severe digestive stress if poorly digested] diet is best for IBS. Go on a reduced gluten diet. Foods high in gluten tend to trigger IBS because they are difficult to digest and often lead to a lot of bloating. Keep a diary to figure out what other trigger foods are. Often dairy products and foods that are high in complex carbohydrates [should be avoided].